Our true and original nature always lies within us just like a butterfly exists within a caterpillar. This evolutionary unfolding is quite inevitable as our fallacious identification with being a self that is separate from others and the world is exposed within the light of clear seeing. We are the infinite spirit or presence that miraculously appears in human form and peers out upon the world. What a rare and magical gift it is to be conscious that our humanity is deeply rooted in, and is an expression of, this intimate yet impersonal divinity. Our collective eternal self is not an object, but the ultimate subject of all objects, and the ground of all being. Our journey of self-realization begins before the intervention of mind or concepts about self, so it does not require more knowledge or ideas about the nature of self. It does, however, necessitate an openhearted compassionate willingness to trust our own direct and unfiltered experience of self. Shedding the many layers that obscure our original nature opens us to lives rich with happiness, peace, and freedom. I was led to believe that the emergence of our fully realized beingness was an arduous task, but frankly, the only real hindrance to fulfillment is buying into the misguided belief that we are not already whole and complete. 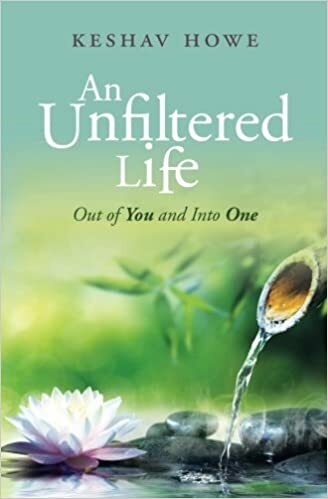 To order a copy of my book, “An Unfiltered Life,” please click: here. I strongly urge you to jump into the Community Share section of this site and join others that are sharing experiences about embracing lives that are increasingly rooting in aware presence. Embrace the quote of the week, interact with me and other spiritual seekers about awakening to our true and lasting nature, and explore my other writings. Or, check out some of my teaching videos, and the inspirational videos of teachers that I deeply admire and respect, on my YouTube channel (currently under construction) by clicking here. Please feel free to email me by clicking here.